At the Harvard Kennedy School (HKS), the Behavioral Insights Group (BIG) is reaching across disciplines and Schools to puzzle out how humans make decisions. The findings of these investigations — translated into gentle “nudges” — could have enormous social benefits, including more attentive consumers, voters, and students. For Harvard’s Origins of Life Initiative, intellectual rigor targets a fundamental question: At the micro scale, biologists and chemists are trying to understand how inanimate molecules assemble into living cells. At the macro scale, astrobiologists are searching for signals of different life within the atmospheres of exoplanets. The fundamental learning skills of looking, listening, and reading have been incorporated into a new set of “frameworks” courses in the humanities. If you can exercise these skills effectively through life, the argument goes, you’re less likely to boil your watch. Helping to improve the world is often an elusive goal, but it could get easier if researchers better understood why people act as they do. Toward that end, the field of behavioral science tries to uncover the underpinnings of human motivation and decision-making as part of its mission to study social interaction. 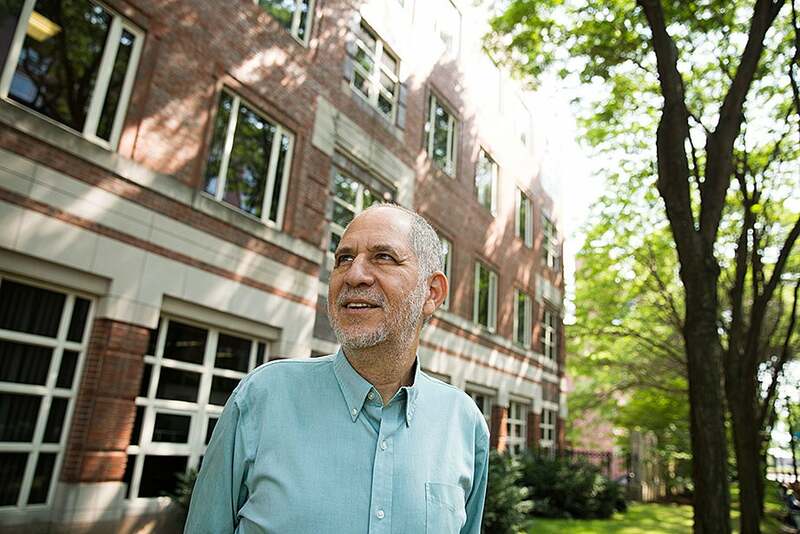 Influential behavioral science research happens across Harvard in important if disparate realms such as economics, psychology, business, law, government, education, and public health. Added together, they make the University one of the world’s leading hubs for that cutting-edge scholarship. Working to harness the power of collective wisdom, the Behavioral Insights Group (BIG) at Harvard Kennedy School (HKS) has assembled 28 decision-research scholars, behavioral economists, and behavioral scientists from across Harvard to share their work and develop evidence-based approaches to public policy problems that bedevil governments, school districts, and other organizations, including key issues like student underachievement, gender inequality in the workplace, and even tax collection. “It’s a new collaboration in which the scholars are learning what kinds of problems are important to the people in government, business, and NGOs. And practitioners are learning what kinds of tools they might use from the scholars. And they’re making something together,” said Iris Bohnet, who co-directs BIG with Max Bazerman, the Jesse Isidor Strauss Professor of Business Administration at Harvard Business School (HBS). “This is an area in which the science connects to policy outcomes pretty quickly, and there’s a lot of interaction right now between policymakers and scholars. And that’s really, really exciting because too often the distance between the ivory tower and people actually trying to solve problems is pretty vast, and there’s a huge translational effort that needs to be done,” said Archon Fung, academic dean and Ford Foundation Professor of Democracy and Citizenship at HKS. “A nudge is a little push that builds on insights into how our minds work to help people overcome some of their biases, and make better decisions for themselves and hopefully also for the world,” said Bohnet, a professor of public policy and director of the Women and Public Policy Program at HKS. She studies how behavioral science can improve gender equality. The nudge concept was first popularized by the 2008 bestseller from Richard Thaler, an economist at the University of Chicago, and Cass Sunstein, now the Robert Walmsley University Professor at Harvard Law School (HLS). Sunstein is a member of BIG, along with, among others, economists David Laibson (FAS), Bridget Terry Long (Harvard Graduate School of Education), Brigitte Madrian (HKS), Sendhil Mullainathan (FAS), Richard Zeckhauser (HKS), political scientist Michael Hiscox (FAS), statistician and legal scholar Jim Greiner (HLS), and HBS behavioral scientists Francesca Gino and Michael I. Norton. “That’s also what makes it exciting. It’s young, it’s a new perspective, it’s cross- disciplinary, it’s action oriented.” And best of all, most interventions appear to make a difference with relatively low cost, Bohnet said. For faculty, BIG is a welcome outgrowth of groundbreaking work in the behavioral sciences over the past two decades. Rogers’ prior work, using novel behavioral science-tested strategies to motivate voters to the polls, was chronicled in the 2012 book “The Victory Lab.” Now, he focuses on finding practical, scientifically tested efforts to help students and their families support achievement at school. In Rogers’ Student Social Support R&D Lab, researchers examine how to connect parents better to what’s happening in the classroom, to find ways to get students’ social networks to provide support with online learning, and to correct what Rogers calls the “miscalibrated beliefs” held by families about how their children compare with others. In another test, families of children with high truancy rates were sent comparison mailers showing how often their children were absent from school and how that number compared with others. Because parents often don’t know what constitutes “normal” attendance, said Rogers, they had no frame of reference until receiving the mailer. Once they did, peer pressure was “extremely effective” in increasing attendance without further burdening teachers. That same dynamic is at work for Opower, a clean energy software company started by two Harvard alumni that uses behavioral science and big data to change how utility companies and consumers manage and use energy. Operating from research conducted by Rogers, the firm sends out mailers to inform households about their energy usage. When people are told they use more energy than their neighbors, they cut back and do so even after the mailers stop coming. In addition to fostering University collaboration via regular seminars so faculty can present research to colleagues, BIG co-hosts an annual global conference, supports small workshops in areas like charitable giving or gender discrimination to link scholars with practitioners, and funds student projects. It also offers more than three dozen related courses and a summer workshop for Ph.D. students that are all in demand. A behavioral study group formed by students now has 300 participants. “It’s a very hot topic for our students because it feels so tangible,” said Bohnet. This year, Bazerman helped take students to Britain and the Netherlands on immersive field visits to work with government-affiliated clients on public policy projects. Because of its popularity, the course will be offered next year and may include students at Harvard’s T.H. Chan School of Public Health. People have wondered “Are we alone in the universe?” for generations, but this is the first one that has a chance to answer the question. That prospect is increasingly energizing astrophysicists and biologists, drawing young scholars into the interdisciplinary study of life’s beginnings. The quest to discern the origins of life is bringing together once-disparate disciplines, including astrophysics and planetary science (concerned with the heavens and the formation of planets), and chemistry and biology (concerned with the prebiotic chemistry and the critical — and still mysterious — transition that created the first living cells). While some established scientists may need to augment past training to explore novel aspects of the cosmic question, today’s young scientists and students are becoming interdisciplinary natives, said Phillips Professor of Astronomy Dimitar Sasselov. Some students, as they become scholars, are taking the expertise they have learned at Harvard — one of the first centers for origins-of-life research — to other institutions, creating centers where knowledge can flow. Sasselov points to scientists such as Lisa Kaltenegger, who did postdoctoral research at Harvard and now directs Cornell’s Carl Sagan Institute. Advances in technology, coupled with the achievements of talented and creative scientists, have opened avenues of inquiry and filled in numerous blanks. Scientists now know for example, that the universe is rich with small, rocky planets like Earth that, if orbiting in their stars’ habitable zones, could harbor life. Such discoveries have made it important for experts in disparate fields to communicate and link up to understand complex issues. How, for example, can planetary conditions foster or discourage life? And how, once established, can life alter a planet, in the process creating physical signals that might be detected? Jack Szostak, professor of chemistry and chemical biology in FAS and professor of genetics at Harvard Medical School (HMS) and Harvard-affiliated Massachusetts General Hospital (MGH), is studying the nature-of-life issue from the other end, trying to figure out how inanimate molecules assembled into those first living cells. Such fundamental questions exert a gravitational force of their own, Sasselov said. As the founding director of Harvard’s Origins of Life Initiative, which provides a hub for faculty members from across the University to coalesce on this question, one of the easiest parts in justifying the initiative’s founding was assuring student interest. Irene Chen, who conducted research in Szostak’s lab before receiving an M.D./Ph.D. in 2007, said the question is still compelling to her today, as an assistant professor of chemistry and biochemistry at the University of California, Santa Barbara. At a current Harvard exhibition, viewers can peer at vials of human teeth from the 19th century. They can ponder a dried flounder, fresh caught in 1793. 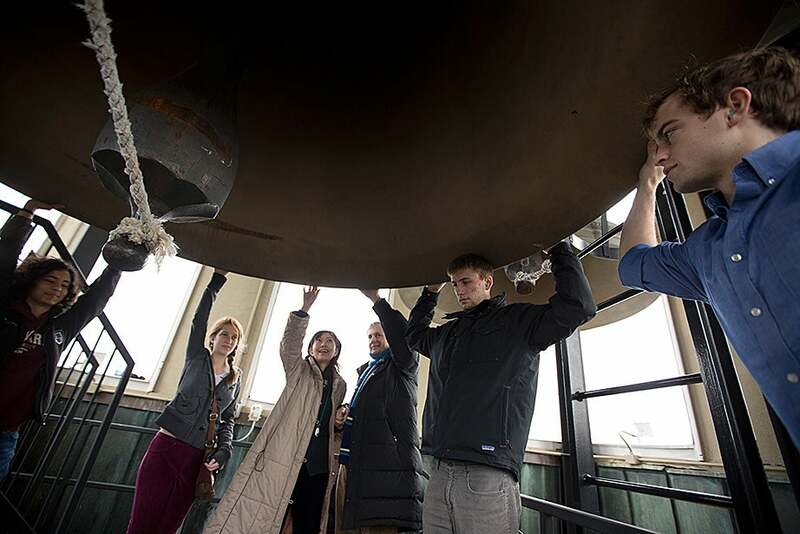 They can see the nose cone of a Cold War missile, an 1880 clothes wringer, a jar of 150-year-old Brazilian coffee beans, and a brass-framed octant made in London before the Civil War. 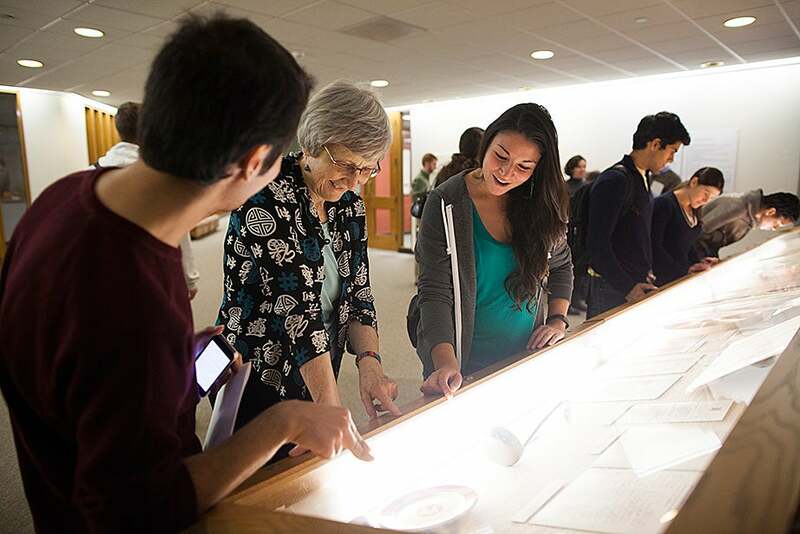 “A Case for Curiosity,” on view through next March in Harvard’s Science Center 371, was curated by students in this semester’s course USW30, “Tangible Things: Harvard Collections in World History.” First offered in 2011, the course signals a fresh, deep interest at Harvard in using artifacts to teach the humanities. Historian and co-instructor Laurel Thatcher Ulrich calls such artifacts “portals,” colorful tunnels into a past traditionally accessible only through the close study of texts. Artifacts can help to uncover vanished eras. They offer insights into the economy, family life, gender norms, preferred food, and more. With close study, artifacts also can help students to understand the literature and history that emerged from such quotidian contexts. Such objects can also illuminate the recent past, said Joseph Pellegrino University Professor Peter Galison at the conference. In a video presentation, he showed a control panel from a Harvard cyclotron (1935–2002). Its myriad of tiny screens, toggles, and switches now seem straight out of a “Doctor Who” episode. 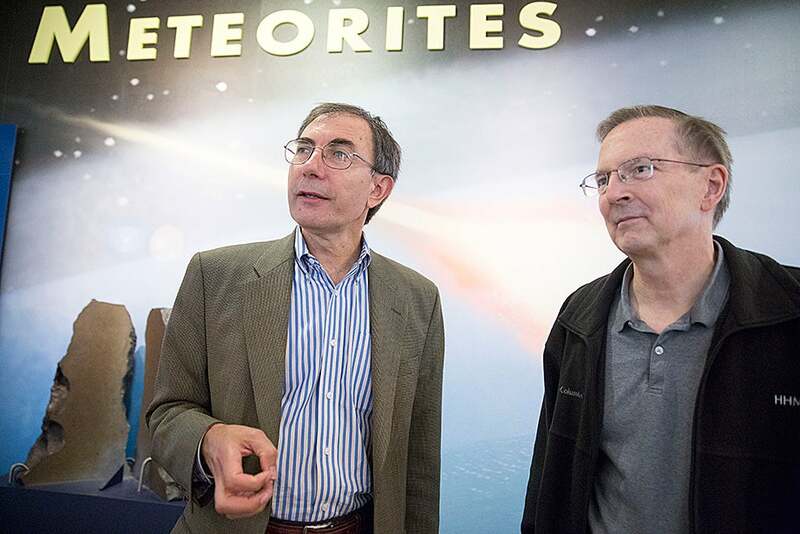 But the panel is actually a record of what were once “the most advanced technologies in high-energy physics,” said Galison, director of the Collection of Historical Scientific Instruments. At Harvard, using objects to study the humanities is a relatively recent development. Not so with science. Starting in the late 17th century, physics and astronomy were taught by means of “scientific apparatus,” beginning with a telescope donated to Harvard in 1672. Learning through objects also came naturally to art history, which began in earnest at Harvard in 1875. But it wasn’t until the 1980s that object-based learning began in the humanities. Richard Wendorf, then head librarian at Houghton Library, encouraged faculty to use the library’s classroom spaces. “That’s been happening gradually,” said Leslie Morris, the Houghton’s curator of modern books and manuscripts. But in the past five years there has been “an explosion” of interest, she said. In 2014, there were 428 class sessions at Houghton. Momentum is building for more objects-based learning. This semester, the FAS sponsored three panels on “active learning,” including an April 1 session on “Teaching with Collections.” Ulrich, Galison, and others took part in “Museum Conversations” on April 27, co-sponsored by the Harvard Museums of Science and Culture, a consortium whose mission champions the pedagogical value of objects. The reception was at the Harvard Semitic Museum, a University pioneer in teaching the humanities through objects and object making. (“It’s what we do,” said director Peter Der Manuelian.) On May 5, Ulrich brought her “scholarship of things” message to the Harvard Ed Portal. How do people look, listen, and read? It’s the ability to do those tasks well that allows people to navigate the world, and encourages them to reflect, reason, and respond to what they find. Mastering these skills is at the heart of a new Harvard effort to help students become better cultural citizens. Looking to reinforce the humanities and eager to reimagine a collaborative curriculum for today, Harvard administrators and faculty released three comprehensive reports in 2013 on the humanities landscape. Their recommendations included a call for clearer entry points into those areas for freshmen and sophomores. The result was a trio of “frameworks” classes on the arts involving looking, listening, and reading, to help undergraduates explore the human experience. “When students arrive on campus they may not see a clear pathway into the study of the arts and humanities,” said Diana Sorensen, dean of arts and humanities, who requested the reports. The new courses offer “critical tools” for understanding messages in sound, pictures, and text, she said, and help students to develop the interpretive skills fundamental to humanistic inquiry. The approach encourages instructors to view the humanities “not just as a set of separate disciplines and programs, but in a much more integrated way,” said Julie Buckler, professor of Slavic languages and literatures, who taught “The Art of Reading” this spring with Michael J. Puett, Walter C. Klein Professor of Chinese History. In the class, students read and interpreted literature, but they also examined historical narratives, visual materials, blogs, computer games, and graphic novels. The courses have a modern mindset. As technologies evolve, Harvard educators said, new approaches to teaching need to do so too. For one assignment, Kelsey and Roberts asked students to develop an iPhone app that could reproduce a daguerreotype, a 19th-century photographic technique that captures an image on a shiny metal plate. Harvard’s rich collections are another integral part of the frameworks courses. Students view great artworks in the University’s museums, participate in close readings of texts in the libraries, and practice close listening during excursions to “sound-rich places around campus,” including sampling the Lowell House bells, said Alexander Rehding, Fanny Peabody Professor of Music, who has taught “The Art of Listening” with John T. Hamilton, William R. Kenan Professor of German and Comparative Literature. Student Justin Dower recently declared a Romance languages and literatures concentration to complement his pre-med track. He said Rehding and Hamilton’s course “opened up the humanities at Harvard to me,” introducing him to the “careful reading, and observation, and listening” that they require. U.S. Army 2nd Lts. Sophia Chua-Rubenfeld ’15 (from left), Molly McFadden ’15, and William Scopa ’15 and U.S. Navy Ensign Sebastian Saldivar ’15 thanked family members and friends for their continued support at Wednesday’s Reserve Officers’ Training Corps commissioning ceremony in Tercentenary Theatre.